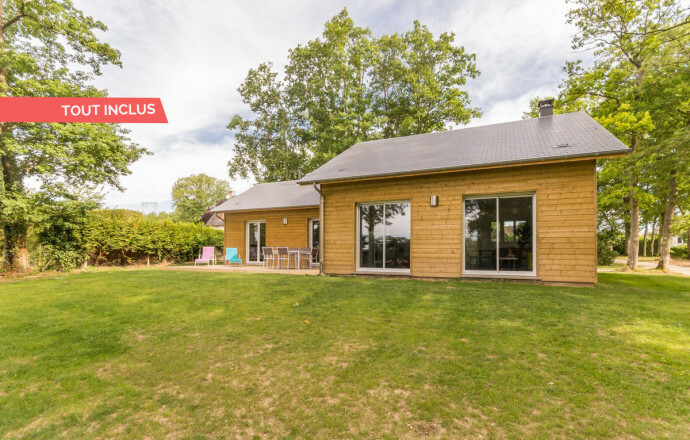 Between woods and greenery, in a small village located close to the pretty and typical small town of Conches-en-Ouche, you will find at the Sausalito a pleasant wooden charming house that will offer you an excellent stay, in peace. 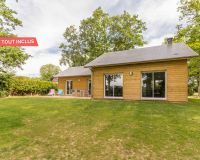 Its large partly wooded garden will seduce you : the little ones will have plenty of space for their games, the big ones for relaxation, under the gaze of the squirrels who have chosen to live there ! Inside, space still with this beautiful living-room both modern and warm, bathed in light and opening onto the terrace. Warm welcome from Denise and Michel. Ground floor : entrance onto the vast and very bright living room with bay windows : kitchen with central island, dining room and living room overlooking the garden, small and wooded terrace. 2 bedrooms with 2 single beds and 1 double bed in 160x200. Shower room with comfortable Italian shower, separate toilet with hand basin. Laundry room with storage. Gîte in the middle of a large garden of 2000 m², in a street away from the heart of village. Small supermarket 200 meters away. Nice markets of Conches on Thursday or the Neubourg on Wednesday.